A book proof-read or edited (genres including speculative fiction, memoir, auto/biography, business text/marketing books, crime, children’s books, romance, erotica—just ask). I love editing books and have the expertise to not only banish grammar and punctuation travesties, but can also help you iron out any plot or character problems. Here are some of the books I’ve edited or proofread. 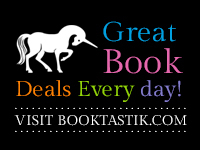 They include children’s books, fantasy, romance, sci fi, and literary. I also edit non-fiction. Proofread The Squirrel That Dreamt of Madness, by Craig Stone and he was very happy (you can ask him on twitter @robolollycop). You can also buy his book on Amazon http://www.amazon.com/Squirrel-That-Dreamt-Madness-ebook/dp/B005JU92GO. Edited Tonya Cannariato’s, @tmycann, books Dust to Blood and Dimentional. Edited A Secure Heart and The Pixie and the Prince by Charity Parkerson @CharityParkerso on Twitter. Edited business book The Alignment Factor by Allen Fishman. When writing or editing for websites, my work is clear and concise and I understand the need for well-placed keywords and customer-focused content. I live in Sydney, but have clients all over the world. If you would like to find out if I can help you, please email me for a quote at dionnewriter@mail.com. Thanks gorgeous 🙂 It would be my pleasure! I’m already in the midst of having my novel edited, but I’ll keep you in mind for the next time! Thanks Susan! That would be great :). Thanks Kat. It’s my ‘real’ job lol. I love it and it’s the next best thing to being an author. Will definitely send people your way if anyone asks about editing services! Thanks Miss Michelle. I would really appreciate it! Hi Dionne – I’m working on my 1st draft and will certainly need an editor around mid-August. What are your pricing/rates in the services you mention above? Also a lil hand holding? This is my very first novel so as you can imagine its a bit daunting, but something I really want to do. Hi Cassie. Thanks for visiting. I’m good at hand-holding and yes, writing your first (or any) novel is daunting, but enjoyable. I’ll email you my rates. Cheers! I have a chronic, debilitating illness that leaves me home, in bed, most of the time. You can imagine I have a plethora of books that I have read over the last 13 yrs. I constantly search for “that” elusive book that I just can’t put down. I find, (reading approximately two to four books, at least, a month), maybe two or three really good books a year that were worth reading. I just read “Shadows of the Realm” (The Circle of Talia) as of March 31st and I found “that” book. I couldn’t put it down and loved it so much I started reading “A Time of Darkness” (The Circle of Talia) as of April 12th. I would have been done the first one sooner, but I am reading four other books at the same time. I’m just about done the second one and hurriedly looked on Amazon for more, but there are none that I see by you. One book of short stories, but I like my books and the longer the better; I’m going to be here a while in bed so, I need the quality and quantity. There was no where to put my review under a Kindle purchase, so I really wanted to share w/you how I felt about your books. I love them and thank you for writing them. I will keep an eye out for more fictional books written by you. Thank you so much, Zoe! I’m sorry to hear about your illness, but I’m so glad my books have helped you pass the time. It was lovely of you to let me know that you enjoyed SOTR and ATOD.